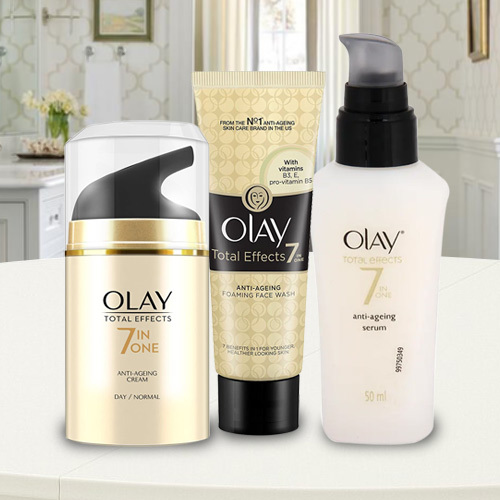 Send this outstanding Mothers Day gift of Elegant Assortment of Olay Skin Care Products to show appreciation towards your mummy for being with you during hard times. This dynamic hamper is stuffed with Olay Total Effects Anti Ageing Serum 50 ml., Olay Total Effects Anti Ageing Cream 20 gm. and Olay Total Effects Foaming Cleanser 100 gm.